Katrina vanden Heuvel is editor and publisher of The Nation, America’s oldest weekly magazine, founded by abolitionists in 1865. It is the most widely read weekly journal of liberal/progressive political and cultural news, opinion and analysis. She has been the magazine’s editor since 1995. The New York native is a frequent commentator on American and international politics for ABC, MSNBC, CNN and PBS. Her articles have appeared in The Washington Post, The Los Angeles Times, The New York Times, Foreign Policy and The Boston Globe. She is a member of the Council on Foreign Relations and has been recognized and granted awards by Planned Parenthood, the New York Civil Liberties Union, the Liberty Hill Foundation, the Correctional Association and the Association for American-Russian Women. Melissa Parker (Smashing Interviews Magazine): The Nation is 152 years old, so why is it still going strong, and what separates it from The Atlantic or Mother Jones or other publications as far as content and mission? Katrina vanden Heuvel: Why is it still going strong? That’s a good question. I think at the heart of The Nation and what it does is the faith and history of what can happen if you tell people the truth. 152 years. Just think of surviving for that long in this fast-changing media landscape. We have evolved, but there have been core principles which have animated The Nation. It’s that principled commitment to change, to a belief that social movements lead to transformational change, to the belief that empire is toxic for true democracy, that each generation finds its movements and its passions and that we are there to cover, and not just from afar. There’s a kind of passionate intensity of coverage that probably distinguishes The Nation from places like The Atlantic. We are journalists. We are writers. We’re not activists, but we cover movements, we cover activists and we cover change with an intensity. So I would say that as we enter the 152nd year, the challenges in these times are to be ever bolder and willing not just to resist, but to think anew and to unshackle our imaginations. We have entered the 21st century, I think, with a digital publishing perspective which you need to bring in younger readers. But I also value it because it spreads our value, our word, our ideas, our arguments far and wide in ways that can inspire and lead to more change than ever. Melissa Parker (Smashing Interviews Magazine): In this digital age of social media, we have a president that uses Twitter for everything from attacking the media and other political figures to creating news sometimes several times a day. How should the media decide on which tweets to write about? Katrina vanden Heuvel: First, I’m not sure he creates news. I think he creates spectacle. He creates intrigue. He creates noise. Of course, one has to cover the president, but in hyper-coverage of those tweets, I think, is deforming our news coverage because Trump knows what he’s doing. He knows what he’s doing. You know the expression, “Winning the morning,” like he’s dictating what’s going to be covered that day. Of course, you need to cover the tweets as we face issues of war and peace. The bluster around North Korea is to be assessed carefully. But too often, as were the case in the campaign in 2016, there was what I call “media malpractice.” What I mean by that is not just hyper-coverage from tweets, but it’s sometimes easier for cable news, for example, to cover scandals and intrigue and the one-man circus that is Donald Trump and not really cover some of the really serious issues afflicting this country, confronting this country and the world. Melissa Parker (Smashing Interviews Magazine): Has the world gone too far off track with so many political pundits hosting shows on television, or is that a good thing in order to stimulate conversation and debate? 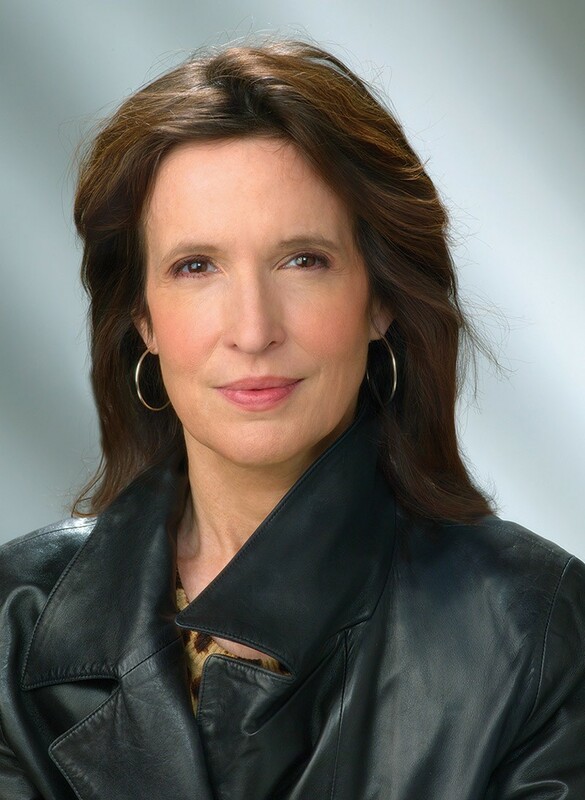 Katrina vanden Heuvel: My sense is we’ve gone off balance because much of the media is broken. There are serious structural changes and challenges confronting the media, the collapse of local daily newspapers, the collapse of funding of serious reporting at home and abroad, the obliteration of the line between news and entertainment and too much news becomes spectacles so that people think they are spectators, not participants. I do think some of this has to do with the funding of media, the crisis of consolidation of profit over purpose. So, yeah, there are too many pundits. Think about this. I’ve done my share of punditry. I’m not going to be holier-than-thou. I try to be independent, but too often they try to book me sometimes to fit the kind of liberal/conservative spectrum as they see it. And too often what you see on our screens is predictable. People are doing talking points and not thinking about issues in a cold-eyed, tough-eyed, analytical way. So I think we’re at a moment. The fake news stuff is serious, but we’ve lived with propaganda and disinformation for years. I think we need real reforms to revive a more accountability-centered media that doesn’t value profits over the public interests, and that’s tough. I don’t have the silver bullet, but we’re at a place where we need to really think hard about it. Melissa Parker (Smashing Interviews Magazine): How do you feel about this administration declaring that the media is the enemy? Katrina vanden Heuvel: The attacks on the media by the Trump administration are not new. They’re amped up by social media and all kinds of other forces. We’ve seen the playbook by which you take down the media, and in taking down the media you’re also de-legitimizing accountability and other forces for accountability. I do think the media, broadly defined, needs to find a way to take on Trump without over personalizing it because I think a lot of Trump supporters feel insulted when the media takes on Trump personally. There’s a lot to take on without going personal. So I’d cut out a lot of the ad hominem stuff and dig deep and particularly expose those areas where Trump has failed in his promises to those who elected him, like the opioid epidemic with the failure to make it a national emergency defunding support for intervention in that arena and claiming that his healthcare plan, which we don’t see anything of, would not cut coverage. All of these things are there to be held up and just whacked at like a pinata of broken promises. Melissa Parker (Smashing Interviews Magazine): Has Trump ever tweeted that The Nation was fake news? Katrina vanden Heuvel: No. He might, and if he did, I would want to tweet back that we think The Nation is a leader of resistance to the Trump agenda. But he hasn’t. I think the crisis of Trump predated the election. This country was in crises of inequality, of plutocracy, of oligarchical control of key aspects of our democracy before Trump was elected, but it abetted his rise as did the media to some extent. It didn’t elect him, but the media coverage, the excessive media helped abet Trump’s rise and election. I’m out of step with a lot of prevailing liberal people who really have bought into, “Let’s declare Russia is a hostile power.” I think that’s a mistake. I think we need a working partnership with Russia in order to resolve some serious crises. We’re sleepwalking into a nuclear escalation. We see the problem with North Korea. It demands working with China or Russia resolving Syria and the crisis of terrorism and ending the de-stabilization of refugee flow in Europe. Melissa Parker (Smashing Interviews Magazine): In the 60s, they taught us the nuclear bomb drill in school, commonly known as the “duck and cover.” As kids, we were quite frightened of a nuclear attack. Katrina vanden Heuvel: Yes. There it is. In a weird way, we talk a lot about climate denial, and I think that’s a serious problem, but there’s nuclear denial. People don’t confront the problems and they’re escalating. The Cold War of years gone by was real dangerous, but the one that we confront today is dangerous, too, because it’s being fought on three fronts. Melissa Parker (Smashing Interviews Magazine): Your dad ran as a Democrat for Congress. Have you ever considered throwing your hat into the political arena? Katrina vanden Heuvel: I’m close to my father. He ran for Congress, he ran for District Attorney of Manhattan and for Governor, managed Robert F. Kennedy’s campaign and was appointed UN ambassador to Geneva and worked in New York at the UN. I admire those who run for office. I admired my father for running for office. But I’ve always believed you can make change in other ways. I thought maybe, when I was growing up, that I might someday run for president, but that was dispelled by the age of ten. I’m very excited by our cover story this week at the women who marched the day after the inauguration who are now running for office. So I think that even while we rightly lament we’re very concerned about Trump and the administration and what we could see as a rollback of reform and civilizing advances, it is a moment where people are waking up and getting engaged and getting active in ways they might not ever have if it hadn’t been for the threats they feel Trump, his administration and his cronies confront us with. Melissa Parker (Smashing Interviews Magazine): Great point. The Nation endorsed Bernie Sanders for president. Is there a Sanders-like person or a liberal out there you would endorse in upcoming elections? Katrina vanden Heuvel: Well, Bernie’s still out there (laughs). No. I know. We need to find a younger … absolutely. We did a cover story on a number of people who are running this year. Someone who ran for Congress and won last year, who also endorsed Bernie Sanders and then endorsed Clinton, is a great woman from Seattle in Congress now called Pramila Jayapal. Jamie Raskin was elected to Congress from Maryland. The progressive caucus in the House of Representatives has some great people. Keith Ellison endorsed Bernie Sanders. A new leader is Mark Pocan from Wisconsin. One of the things we try to do at The Nation is cover those who are involved in our revolution, which is the kind of coalition Bernie Sanders launched coming out of his campaign. So we’re covering some of the campaigns being run by those candidates. I think what Bernie Sanders did was inject a kind of bold, inclusive, populous message into a Democratic Party that could use that. It’s a federational fight, as you know, because so many lost in state legislatures, the governors races are so key, and what happens at the state and local level is something we really need to look at and cover. Melissa Parker (Smashing Interviews Magazine): I read an article back in October of 2016 where you said that reality TV, Access Hollywood and all that, may take Trump down in the end and that he would kill his own party. What are your predictions now, over 200 days in, as to how the Trump presidency will end and how the Republican party has been and will be affected by him? Katrina vanden Heuvel: I do think Trump affected a hostile takeover of the Republican Party to some extent. I think the Republican Party is deeply factionalized and it is waiting to see what happens to Trump. You can see as congressional elections approach. Who knows how this presidency will end? Some of my colleagues think he’ll be impeached. I don’t think so because that’s a very political act. But you could see the investigations by Mueller, special counsel, could well lead to indictments of those around Trump and could deepen the corruption and corrosion of this administration, but the base of the Trump party, so to speak, is pretty strong still. I know numbers fall, but the Republican Party for now is still kind of with him. So Democrats need to focus hard and laser-like on driving out what they are there for and yes, to oppose Trump, but too much resistance and not enough fight for reconstruction or fight for who we are is not a solution for winning or for the country. Melissa Parker (Smashing Interviews Magazine): Trump has slammed Senate Majority Leader Mitch McConnell via tweets. Katrina vanden Heuvel: That’s what I mean. It’s dangerous because it is a hostile takeover of the Republican Party, and Trump has an ability to triangulate. He should be held responsible and the Republican Party, as a whole, should be responsible and not treat Trump as an aberrant individual. In many ways, Trump does come out of the Republican Party, yet he wants to have it all ways. Melissa Parker (Smashing Interviews Magazine): I feel that more and more Americans are becoming engaged in politics than ever before because of this controversial administration. Do you notice an uptick in reads, particularly on articles regarding Trump? Katrina vanden Heuvel: We at The Nation have what I call a “Trump bump,” because even people who weren’t that political are engaged. I value that because I’ve always been engaged in different times. I think it’s healthy for our country that people are engaged and active in trying to think about the future whether they run or they start movements or they start a local campaign. My sister gets a daily action thing she can do. We started something called “Take Action.” Every week, we communicate with our readers about three steps they can take with their pocketbooks, with their feet, with their minds. It’s really cool. Melissa Parker (Smashing Interviews Magazine): What has been your proudest moment as editor and publisher of The Nation? Katrina vanden Heuvel: I think two things. I talked earlier about war and peace. I think one of the really enduring strands of The Nation is the idea that misadventure of a broad war is toxic for a democracy, and leading The Nation at a time of opposition to the Iraq War, coming out of 9/11 and showing that our voice was one that called for justice, not vengeance, for bringing people involved in that horrific act to accountability, was a proud moment. The war in Iraq didn’t have anything to do with 9/11, and I continue to believe to this day that the Iraq War is one of the great debacles which has contributed to the mess that this world is in today. So I felt that was important. Many liberal publications did not stand against the war, but we did, and that was important to me. I’m also proud that we endorsed Bernie Sanders. The Nation had covered Sanders for close to 30 years, first as a mayor, then in Congress and senator. It wasn’t just Bernie Sanders, but it was the issues that he championed in his campaign for president that really were issues that The Nation has championed over time, like ending the rigging of our political system, ending the political corruption, getting big corporate money out of our politics, fairness, social justice, economic justice. In taking that stand, it was not popular with everyone, but I am proud we took that stand. Being the realists we are, we did endorse Hillary Clinton in the general election. I think that’s important, too, to be both progressive, idealistic and visionary when you can be and pragmatic when needed in this country and at this time. Above all, The Nation is about fighting for the issues, fighting for the passion of issues one cares about and finding people who will support those issues in the movements outside and allies inside. « April Ryan Interview: "This Is Not the America That I Know"
I found your interview of Katherine Vanden Heuvel very informative. It was especially interesting to learn how long The Nation has been in existence as a magazine. I have not been a reader of this journal but look forward to reading it in the future.